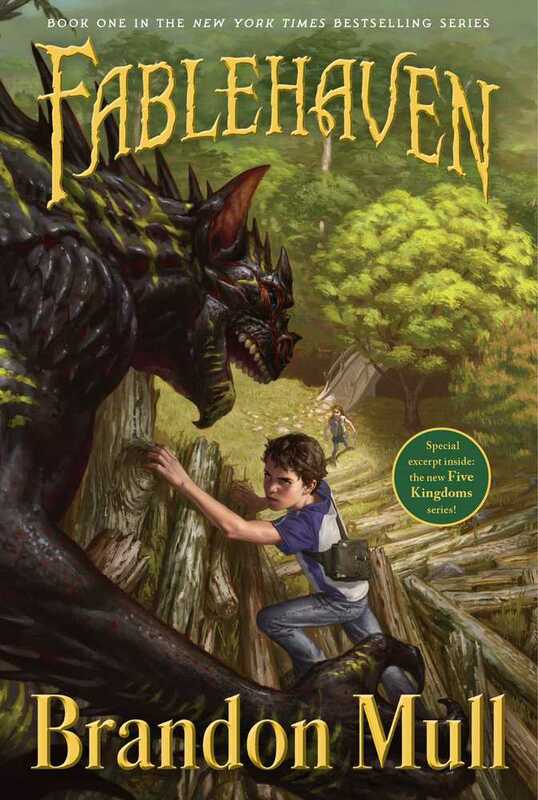 About the book: For centuries, mystical creatures of all description were gathered to a hidden refuge called Fablehaven to prevent their extinction. The sanctuary survives today as one of the last strongholds of true magic in a cynical world. Enchanting? Absolutely. Exciting? You bet. Safe? Well, actually, quite the opposite. . .
My review: It’s really rare for me to have time to re-read something, and I’ve been lucky enough to have gotten to re-read 2 books. I was in charge of a summer reading group this year for kids from 3rd to 6th grades. I chose this book because it’s pretty much my all time favorite middle grade series. I had so much fun finding ideas for what I could do with them, questions and what to talk about. But my favorite part was that I got to re-read this great book! I have to say that I enjoyed reading it again just as much as I enjoyed reading it the first time. As I read it, I was struck with just how great of an author Brandon Mull really is. I love his characters, the way he describes things, his magical and mythical beasts, his imagination, and the plot is just fabulous! I love Kendra! I love how she’s the tame normal one and how she’s always trying to reign Seth back in from his crazy ideas. But I also love her courage that shows when she needs it to the very most. I love the way the author uses her to pull in the girl readers as well as the boys. I love Seth! His sense of adventure is so high. He’s always doing something he shouldn’t be. He’s wild and crazy and he figures if something goes wrong, it can always be fixed. He’s the kind of guy you’d want to have your back if you ever got into trouble, because he can get out of trouble almost as fast as he can get into it. I’m so glad I got a chance to re-read this one, it’s just amazing! About the author: Brandon Mull is the #1 New York Times bestselling author of the Fablehaven, Beyonders, and Five Kingdoms series. He lives in Utah in a happy little valley near the mouth of a canyon with his four children. He may or may not have a giant magical bovine in his backyard. 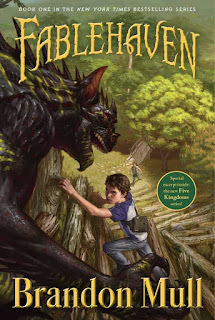 Brandon is excited to share more adventures with Kendra and Seth in Dragonwatch, the sequel to Fablehaven.